KDHL is proud to present our 71st year of baseline to baseline coverage of the MSHSL Minnesota Boys State High School Basketball Tournament. Since the station went on the air in 1948 we have been at ever tournament. Until the classes expanded to four we were able to actually cover every single game. For a few years we did 18 games after the expansion of classes but the last few years we have pared that down to 16 games with four each day Wednesday through Saturday. Wednesday Roy Koenig will be on the call from Williams Arena and I will be at the Target Center. Roy will have two quarterfinal round Class 3A games. I will have a Class 4A quarterfinal round game and a Class 2A quarterfinal contest. 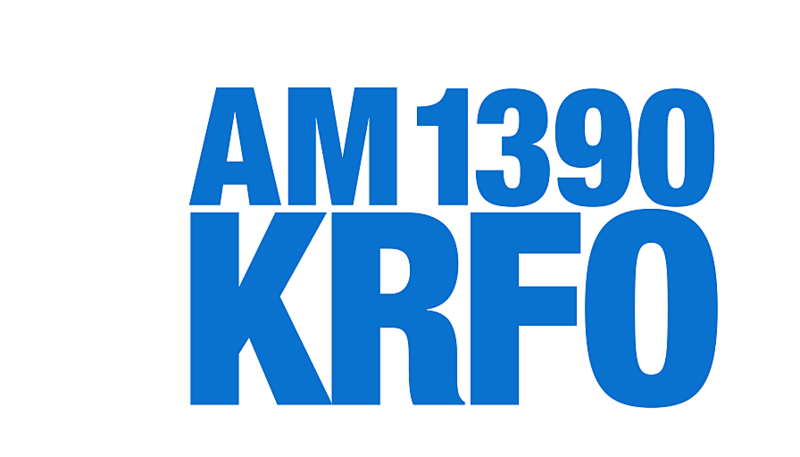 All winner's bracket games are on KDHL Radio, 920 AM. The best way to listen static free is to download the FREE KDHL app. Roy will be bringing you the Class 3A opener at 10:00 a.m. between top seed DeLaSalle and Bemidji. This is not a easy draw for the Islanders (24-5). The Lumberjacks (23-4) lost to Alexandria Area, Superior, Fergus Falls (double overtime) and Brainerd. Bemidji averages 67.4 and allows 57.3. DeLaSalle scores an average 78.4 and allows 54.2 per contest. Just two of the Islanders losses have been against Minnesota opponents. The Islanders have lost to North St. Paul and Minnehaha Academy. They also fell to high school teams from Nevada, South Dakota and Wisconsin. Senior 6'9 Spencer Konecne averaged a double double this season and is planning on playing football and basketball and Concordia College in Moorhead according to team notes provided by Bemidji. Konecne is also state band trombone player. Senior Ryan Bieberdorf was a All-State Football and All-State Basketball selection. Senior Cole Milz will be a punter at St. John's University in the fall. The Lumberjacks average 10 three point baskets per game. Konecne and junior 6'3 Colton Jensen are the only players averaging double figures each game in points/ 14.2 and 12.6 respectively. DeLaSalle averages 20.5 assists per game. Senior 6'3 Tyrell Terry is averaging 22.1 points and 8 assists a game. Senior 6'7 Jamison Battle averages 24.1 points, 9.2 rebounds a game. At Noon #4 seed Princeton Tigers (26-3) and Zephyrs of Mahtomedi (24-5) play at Williams Arena. Princeton lost to Buffalo, St. Michael-Albertville and Hibbing and avenged their lost to Hibbing in the Section final 91-76. They lost at home to Hibbing 79-76. Princeton has won 8 straight, has the highest average points per game 84.8 in the Class 3A tournament and gives up 64.6 points per contest. They average 23.1 assists per game. Five Tigers average double figures scoring per game led by senior 6'7 Jon Stimmler at 18.2. Stimmler also leads the team in rebounds with 11.6 per contest. Three players have over 100 assists for the team. Senior 6'1 Adam Williams 89 three point baskets in 28 games played. Mahtomedi has 12 straight victories. They lost to Blake in double overtime, Lake City, Woodbury, Tartan and Mankato East during the regular season. Junior 6'6 J'Vonne Hadley averages 27.9 points, 8.3 rebounds a game and scored a school record 52 points in a game. Hadley is a 1,000 points scorer, leads the team in assists also. This is the Zephyrs first trip to state in basketball since 1961. Academy of Holy Angels in Richfield (24-4) will tangle with #2 seed Waseca (28-1) at 2:00 p.m. on KDHL from Williams Arena. The Stars are the school Larry Fitzgerald, sure Hall of Fame receiver for the Arizona Cardinals went to. They average 75.6 and allow 62.1 points per game. The four losses were to Waconia, DeLaSalle twice and Columbia Heights. Holy Angels have won six straight games. The Stars have five players averaging double figures scoring led by senior 6'5 Thor Holien, 15.5 points per game. Junior Matt Banovetz grabs 8.8 rebounds a game. Senior 6'0 Charles Johnson led the metro area in steals and is the top assist man on the club. The Blue Jays average 83.8 points and give up 56.2 per game. Their only loss was to Marshall during the regular season. Senior 6'2 Malik Willingham averages 19.7 points per game and leads the team in assists. Sophomore 6'8 Andrew Morgan is their top rebounder (8.4 game). Malik is 39 points away from 2,000 in his career. Monticello (14-15) might need a little Magic to defeat #3 seed Austin (23-5) at 4:00 p.m. at Williams. The Packers are in the State Tournament for the third straight year. The Magic average 65.9 and allow 62.9 points per game. Junior 6'5 Austin Wetter leads them in scoring with 17.7 points per game and assist with 107 this season. The Packers average 72.6 while giving up 60.5 points per game. The Big 9 Conference Co-Champions (with Mankato East) force an average 23 turnovers per game. Senior 6'0 Medi Obang leads the team in scoring 18.7 points per game, with 81 three point baskets this season. The Packers have been out rebounded an average of 9 boards per game. Junior 6'2 Agwa Nywesh is the club leader in rebounds averaging 4.3 per game.